My internship made me so work oriented and immediately with college sessions, that addiction to keep myself engaged in anything productive, just got shattered. Plus the weekends fly away so quick and yet I fail to upload as often as I used to while I was on summer break. But anyways, I don’t wanna be ruined by letting myself rust. 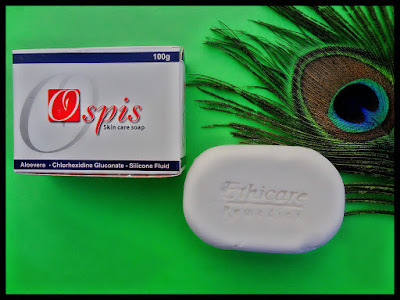 Today I shall be reviewing the Opsis Skin Care Soap by Ethicare Remedies, which is a part of their Monsoon Kit. If you wanna know more about this kit, click here or drop down onto their website here. Ethicare Remedies is a pharmacist brand that deals in skincare and hair care products. They’ve got a lot of affordable options, be it roll on deodorants, anti- acne creams, etc. So let’s begin with the review; shall we? 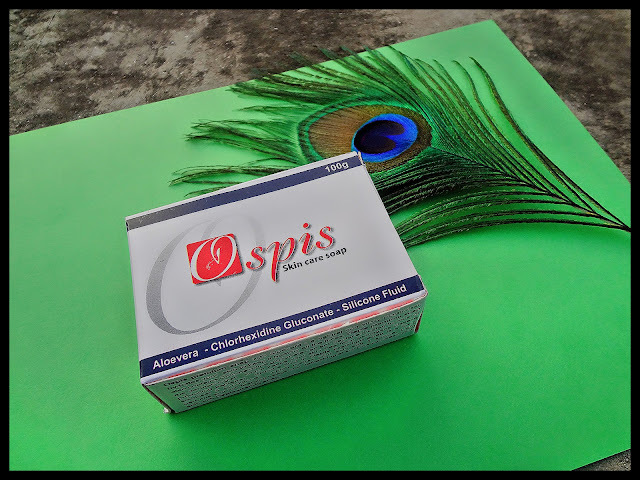 Opsis Skin Care Soap comes as a set within the Monsoon Kit. Though we’ve got all the writers and poets praise about the beauty of rains, we can’t ignore the fact that monsoon bombards us with bacterium. 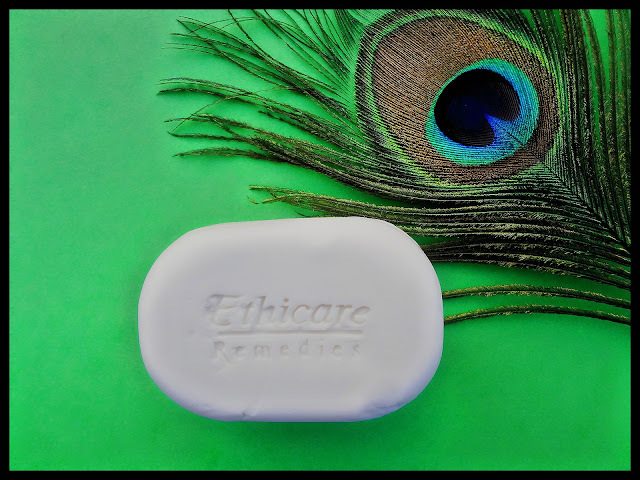 That’s why, medicated soaps work best in such weather. 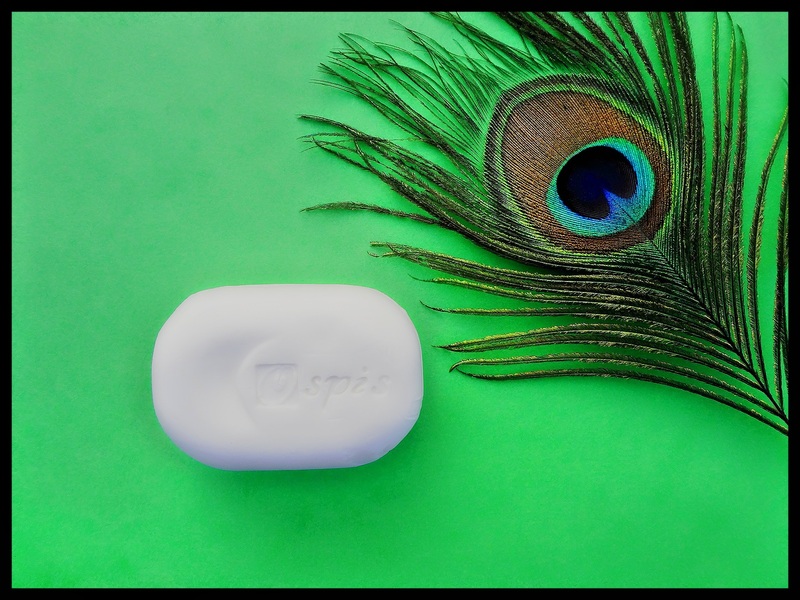 This soap retails at INR 69 for net content of 100 grams. It contains Aloe vera, Chlorhexidine Gluconate & Silicone Fluid. 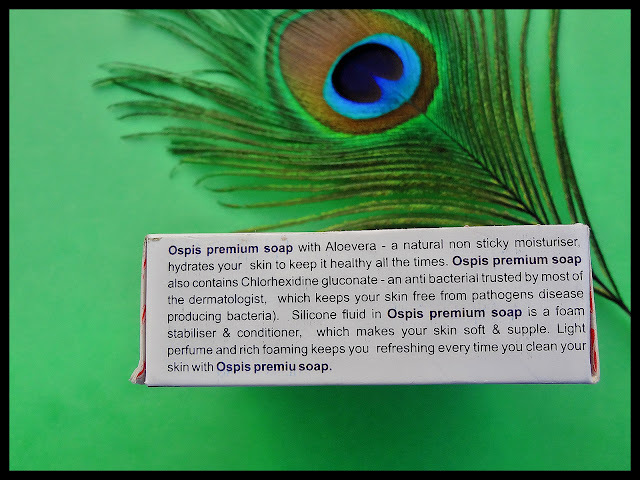 Description: Opsis premium soap with Aloevera – a natural non sticky moisturizer hydrates your skin to keep it healthy all the times. 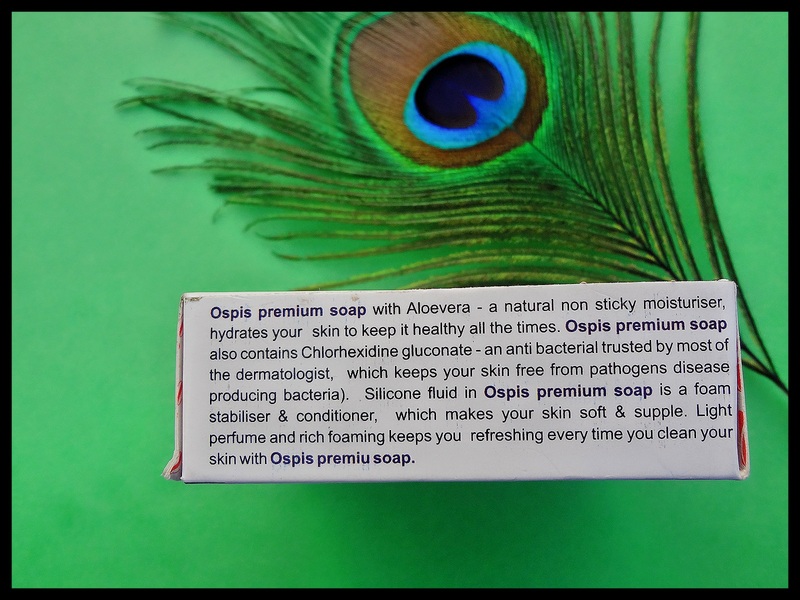 Opsis premium soap also contains Chlorhexidine gluconate – an anti bacterial trusted by most of the dermatologist, which keeps your skin free from pathogens disease producing bacteria. Silicone fluid in Opsis premium soap is a foam stabiliser & conditioner, which keeps your skin soft & supple. Light perfume and rich foaming keeps your refreshing every time you clean your skin with Opsis premium soap. Opsis Skin Care soap comes in white cardboard outer packaging which has all the necessary details imprinted. 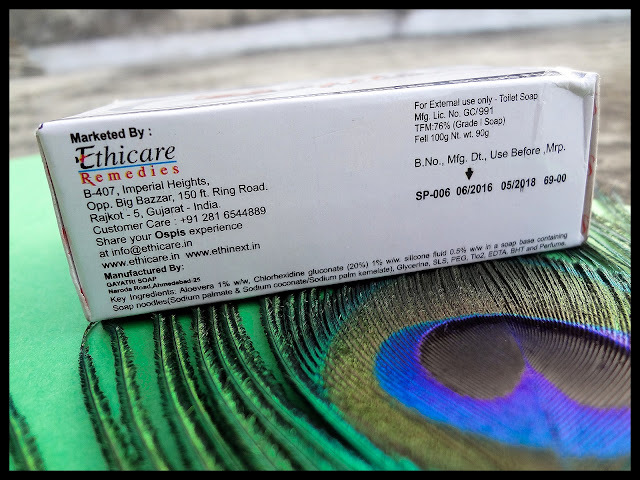 The soap is completely white with one side imbibed with the brand name- Ethicare Remedies; while the other side has the soap name engraved. It has slight fragrance that does elongate for long, it stays only until you begin to sweat. Also, the fragrance is subtle. The soap does cleanse the body well, removing dirt and grime but without making it dry or stretchy. I have dry hands especially from wrists to elbow due to slight sunburn when I used to go in DTC buses all the way to my college in South Campus, D.U. A lot of soaps do aggravate flakiness in this particular area of my hand. But this one does not accentuate the dryness. Dry skinned ladies would still need a lotion on top of it. As the packaging mentions, it really does cause immediate refreshing feeling; like slight cooling (minor). I use it in the evenings after college tiredness and before my jogging sessions. Overall, I do like and would love to own it again.